Brigitte Steger is Austrian and earned her Mag. phil. and Dr. phil. degrees in Japanese Studies (with minors in Sociology and Political Science) from the University of Vienna. From 1994-1996 she spent two years at the University of Kyoto conducting research for her doctoral dissertation; in 2002/03, 2006, 2011 and 2014 she was visiting researcher at Tokyo’s Meiji, Sophia and Keio Universities. She has many years of teaching and research experience at the University of Vienna, and has also held posts at the University of Pennsylvania in Philadelphia and the Karoli Gaspar University in Budapest. Her teaching mainly deals with the various aspects of Japanese society, with intercultural communication as well as with methodologies and methods in qualitative social science research. Dr Steger is Secretary General of the Japan Anthropology Workshop (JAWS) and a Member of Advisory Board (Beirat) of the Bochumer Jahrbuch zur Ostasienforschung and the Vienna Journal of East Asian Studies. Dr Steger welcomes inquiries from talented young scholars to work under her supervision. 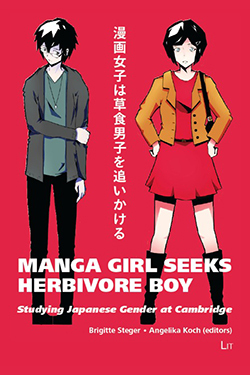 She is willing and able to supervise a wide range of topics related to Japanese contemporary society. 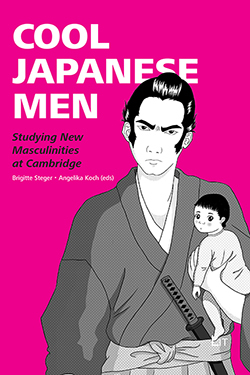 Brigitte Steger specializes in Japanese society, with emphasis on the cultural history and anthropology of daily life. In her research, she has always been intrigued by questions of the cultural and social embeddedness of seemingly natural, bodily matters and daily life. Her master’s thesis explored childbirth and midwifery from sociological and political perspectives, especially the incorporation of midwifery into police administration and of the introduction of concepts of hygiene in modern Japan. Her doctoral dissertation dealt with sleep, especially sleeping times. She is best known for her research on inemuri, which has received world-wide attention. For her doctoral dissertation she was awarded the ‘Bank Austria Prize 2002 for the Promotion of Innovative Research at the University of Vienna’. (Keine) Zeit zum Schlafen? Kulturhistorische und sozialanthropologische Erkundungen japanischer Schlafgewohnheiten. (Münster: LIT 2004)earned her the ‘Science Award of the Federal State of Vorarlberg, Austria, 2005, Special Award for an Outstanding Publication’. Consequently she was also nominated as ‘Austrian of the Year’ at the ‘Austria 2005’ awards ceremony in the category of science and research. Her book Inemuri: Wie die Japaner schlafen und was wir von ihnen lernen können (Rowohlt, 2007) was published in Braille in 2008 and has been translated into Japanese, published at Hankyu Communications (now: CCC Media) in early summer 2013. Further details of Steger's research on sleep. In spring 2016 the alumni magazine CAM 77 published an essay on 'The Big Sleep' (on inemuri) which was republished at the BBC worldwide website in May 2016 and translated into many languages. The tsunami disasters of March 2011 prompted her to travel to northeastern Japan, where she was the only researcher to live alongside survivors in a shelter. She observed that problems with cleanliness became a symbol of shared suffering in the shelters, and that survivors tried to regain a sense of normality by organising household routines according to deeply rooted social structures. Further details of Steger's research project. 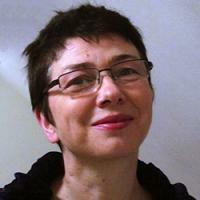 Steger also heads an international research project titled ‘Timing day and night: timescapes in premodern Japan’. Using an ethnographic approach based on premodern Japanese sources as well as new digital search tools, we focus on time as a set of practices, analysing what sense people made of zodiacs, temple bells, animal behaviour and plant cycles to co-ordinate social activities. The group aims to challenge European-based social theories of time, and their focus on the mechanical clock, in order to better understand Japan’s transition to modernity. The first workshop took place in April 2015; a selection of articles from this workshop were published in the journal KronoScope (co-edited with Raji Steineck) in March 2017.